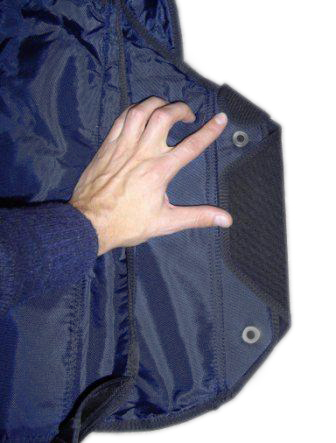 The pincover flap protects the closing loops from hooking, damage and wear. It is closed with 2 tuck tabs that are laid under the top flap from the side and from above. 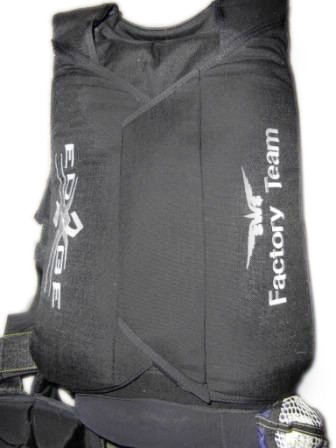 This structure provides a strong protection for the flap and the bridle from blowing out at any body position and at any speed. 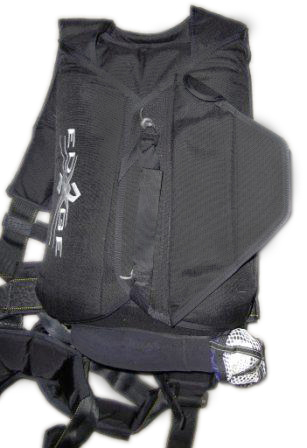 At jumps with short delay, due to a special shape of the flap and additional space between pins on the bridle, the pincover flap will not affect the deployment process. It allows the container to open without pre-opening the pincover flap and thus saves time and altitude.